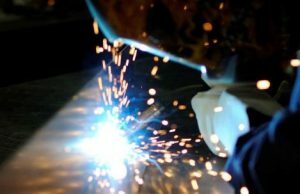 Our vast range of metal fabrication experience manufacturing a wide range of metal products over the past 27 years ensures that we have the skills on site to meet your needs. Many of our engineers have been with us all that time and have honed their skills to produce the best possible quality metalwork. The wide range of projects and companies we have produced metalwork for over the years has given us a diverse range of skills and allows us to produce a comprehensive range of items. 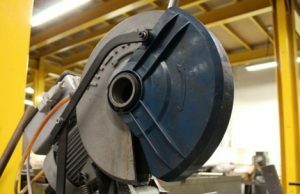 Over the twenty-seven plus years we have produced metal fabrication services here in Nottinghamshire we think we must have seen and manufactured pretty much all aspects of sheet metal fabrication. You can be confident in the knowledge that we will be able to design, manufacture and finish your project both on time and at a very competitive price. Please contact us we would be happy to demonstrate this to you. Our fabrication services employ a vast array of machinery and equipment to allow us to create the best possible product we can. 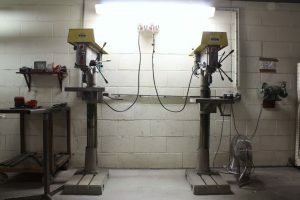 At our purpose built factory we use a wide range of fabrication techniques on a daily basis. From hand forming, right through to CNC operated machinery, we have the tools for the job. We use the latest welding plant to allow our skilled engineers to produce some of the best welds in the business. 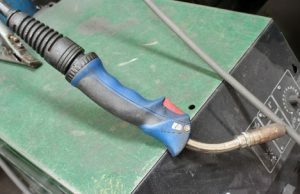 We have MIG, TIG, spot welding and brazing plants available here to ensure we have the plant to do the weld required. For more information on our welding services, please click on the button below. To ensure we provide the best quality metalwork we can, we follow a 9 stage process for all products we manufacture. By following this process, we ensure that all products are to the highest standards every time. Furthermore, we are currently working towards ISO:9001 Quality accreditation.